Billy Pugh Company’s mission is the manufacturing of a full line of premium quality safety equipment. With close to 60 years of commitment to quality we continue to “over-build” our safety equipment. All our products exceed the minimum standards set by USCG, OSHA, CE and ANSI. At Billy Pugh Co. we will work closely with you to customize an existing product or develop a new one for your specific application. Billy Pugh Company was established in 1957 during the infancy of the offshore oil and gas industry. Mr. Billy Pugh was a deck hand on a supply/crew boat working offshore Corpus Christi. Mr. Pugh had been in the United States Coast Guard during World War II and had been working around water most of his life. During his lifetime, Mr. Pugh saw how the personnel were being transferred on and off the drilling platforms and was concerned for their safety. The rig hands were being moved from the boat to rig using a cargo net. The passengers would hang on to the rigging of the cargo net and were literally set down onto the deck of the boat or the drilling platform. When Mr. Pugh brought this hazard up to the drilling superintendent- that this looked very dangerous and that he had a better idea; he was told to go back to work. A few days later a serious accident occurred taking the lives of a two of rig hands and seriously injuring another. The rig superintendent sent for Mr. Pugh and asked him what his idea was. Mr. Pugh described a “cone shaped” system that allowed personnel to ride on the outside while standing on a ring which would allow them to lean slightly forward and more easily embark and disembark the transfer device. The Billy Pugh Company was born. Over the next several decades, Billy Pugh Company became synonymous with the offshore oil and gas industry. One of the first rites of passage for a new rig hand was his first ride on the famous Billy Pugh Net. Also of interest during that time period (the early 1960’s) NASA approached Billy Pugh Company to design and test a system for water recovery of astronauts. 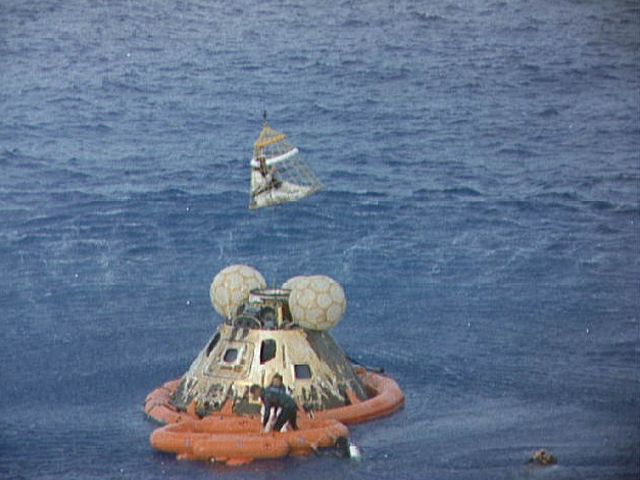 The Apollo moon missions would all use the Billy Pugh Company X-872 Helicopter Rescue net to rescue the astronauts after the splash down of their capsule. The X-872 that was used on Apollo 11 has its own display at the Smithsonian Institute in Washington D.C.
Astronaut John L. Swigert Jr., Apollo 13 command module pilot, is lifted aboard a helicopter in a “Billy Pugh” net while Astronaut James A. Lovell Jr., commander, awaits his turn. Astronaut Fred Haise Jr., lunar module pilot, is already aboard the helicopter. In the life raft with Lovell and in the water are several U.S. Navy Underwater Demolition Team Swimmers who assisted in the recovery operations. The Apollo 13 spacecraft splashed down at 12:07:44 p.m., April 17, 1970. In the spring of 1989, Billy Pugh decided it was time to retire and sell his company. He had a local friend Jimmy Storm (who founded both Storm Drilling and Marine Drilling) that he told about his desire to sell the company. Mr. Storm contacted a family friend named Paul Liberato to see if Paul had interest in becoming President and owner of Billy Pugh Company. After some additional investors were located, the company was sold to Mr. Liberato and the new investment group was formed in October of 1989. Soon after (1990) Paul brought Frank Liberato on to act as General Manager and run the day to day operations of the company. Frank has many talents including personnel management, product development and the ability to turn ideas into workable products.In the next several years, many products were brought on line for Billy Pugh Company developed by the Liberato brothers. 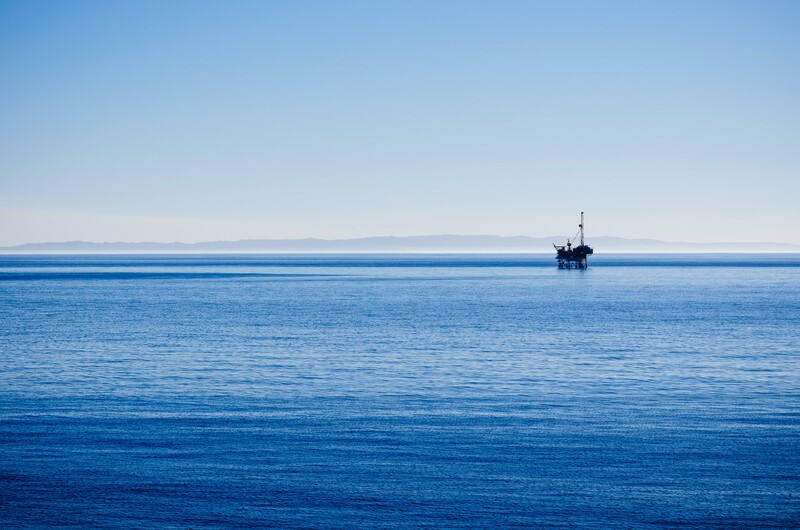 The offshore oil and gas industry is somewhat unique in its desire to create a safer work environment for the entire industry. The offshore industry is always willing to help develop and share ideas for new concepts that will help everyone. This collaboration was responsible for new products like the OMB Man Basket, the WVO-workvest, the DTP Pipe Hook, the Tangle Resistant Tag Line, the Rigid Tag Line and the DB-1 Derrick Riding Basket. All of these are excellent additions to our product line; However, nothing has changed the landscape of Billy Pugh Company like the X-904 Personnel Transfer Device. The Billy Pugh Company was inducted into the Offshore Oil industry’s Hall of Fame in 2001. In the mid-2000’s, it became apparent that it was time for a new personnel transfer device to supplant the industry standard, the X-871 personnel basket. For the next two years, prototypes were built and designed. Hundreds of personnel were asked to participate in focus groups to determine what the new device would look like and what safety features it should have. After the fourth prototype was built, it was tested on a large semi-submersible. As with all of the prototype testing we conducted, we included surveys. We provided one survey for the riders and one for the riggers and crane operators. The results of our research found that the X-904 exceeded our expectations. From that point forward, we have had such great success with this fine product that it really sells itself. Once the X-904 was in the field the word got out and it took off. The numbers we have sold has far exceeded any projections we made prior to the start of this program. The X-904 is now specified with most operators and contractors world-wide. We continue to strive to make the best quality safety products available and to continue to innovate. With the help of our customers, we will continue to listen more than we talk. More importantly, we will carry on Mr. Pugh’s vision and do our part to create the safest work environment possible.